SDCC FINAL REVEALS – FULL VINYL TOYS LINE UP ANNOUNCED! Here are our final two Vinyl Toy Exclusives for San Diego Comic Con 2013! Whether stalking the night or growing untended in a Transylvanian garden, the ROSE VAMPIRE continues to gather a legion of loyal acolytes (which basically means that the little dude has a lot of fans these days). Cast in “Tangerine” tinted translucent orange vinyl, Roseferatu has shrunk down to pocket-size (3″) to travel with you wherever he is needed! Created by Joshua Herbolsheimer, this Limited Edition figure is articulated at the neck…a perfect location in which to sink your teeth…and is brought to undead life with green, orange, red and white sprays. It wouldn’t be San Diego without a tribute to the Padres! Super7’s mascot is ready to play ball as a Pocket-Sized figure created exclusively for Comic Con – available in both CLASSIC and MODERN color schemes! SD Classic BASEBALL BOY shows of the iconic color scheme of the team, featuring a yellow vinyl torso and white vinyl head. Brown, black, and red paint details complete the Classic team look. The SD Modern BASEBALL BOY is cast in navy blue for the body, and detailed with blue-grey, dark blue, black. The head is a base white vinyl with bright red stitching throughout. 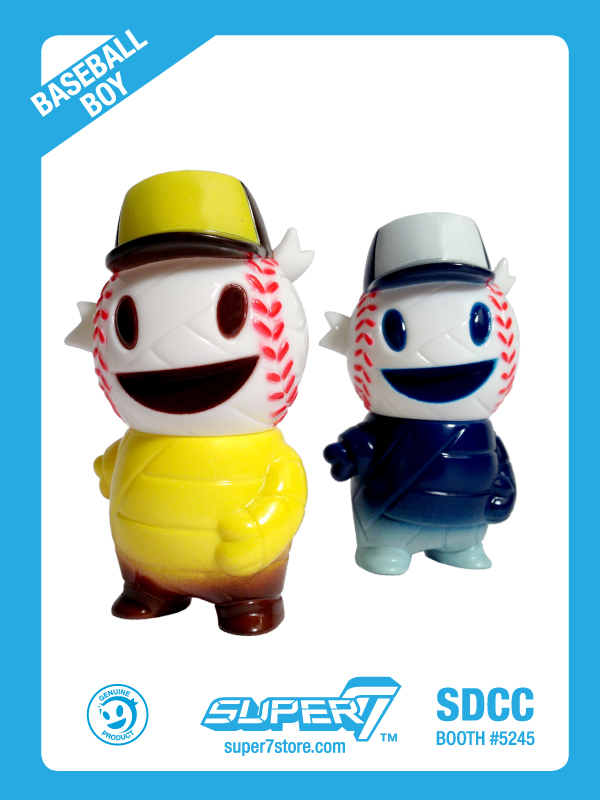 Baseball Boy stands 3” tall and is comprised of high-quality Japanese vinyl. Created by Brian Flynn, these two Con Exclusives are the perfect souvenir to help you relive SDCC 2013 all year long! SDCC ALIEN REACTION FIGURES REVIEW & INTERVIEW! 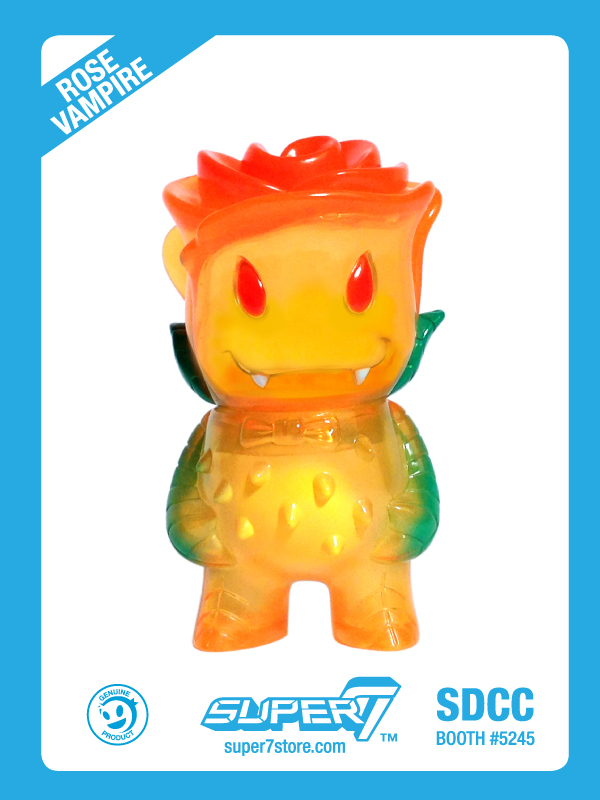 FULL REVEAL OF ALL 15 SDCC VINYL TOY EXCLUSIVES FROM SUPER7!